American Girl Isabelle Dance Bar & Case on Jill’s Deals & Steals TODAY! You are here: Home / online shopping / American Girl Isabelle Dance Bar & Case on Jill’s Deals & Steals TODAY! A HUGE Thank You goes out to my reader Andrea for giving me the heads up on this one! Today at 7 AM CT, a code will be released for a discount on American Girl Isabelle Dance Bar & Case! 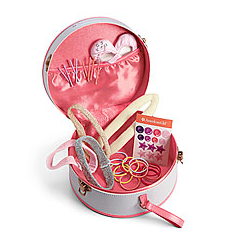 You can also score a deal on Isabelle’s Dance Case! There may be other deals, too! You never know! 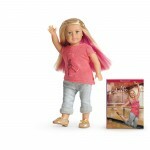 In the past, there have been AMAZING deals on American Girl dolls and accessories! I will keep you posted and let you know when the deal goes live! These deals are available through 12/11 only, while supplies last. Based on my experience with other sales like this one, they won’t last through today! In the meantime, you can also score 50% off select Daily Deals items! They’ve got some super cute doll outfits and accessories! 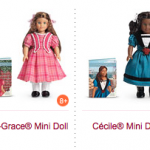 American Girl Doll Sale on Jill’s Deals & Steals Today! 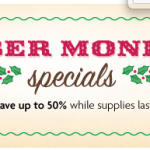 American Girl Cyber Monday Sale! American Girl 50% off sale! 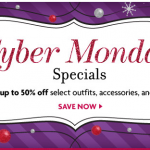 American Girl Cyber Monday Sale Live Online NOW! American Girl Bitty Baby on sale for $60! American Girl Mini Dolls just $10 each!